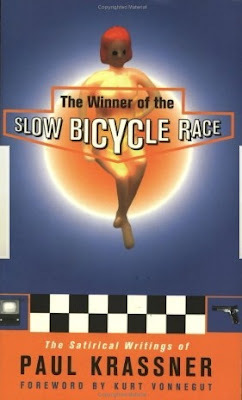 Thanks to Elle for this link to a book splendidly titled "The Winner of the Slow Bicycle Race", by Paul Krassner. Copenhagenize.com vs Amsterdamize.com in the world's first Copenhagen Invitational Slow Bicycle Race. New Orleans, Jazz and Slow Bicycles! Last summer saw the inaugural Slow Bicycle Ride here in Copenhagen. A group of people from several countries who, through the bicycle development organisation Baisikeli, went for a relaxing 'slow' through Copenhagen. An hour or so of bicycling and then back to Baisikeli for a little street party in the warm, dreamy Copenhagen summer evening. 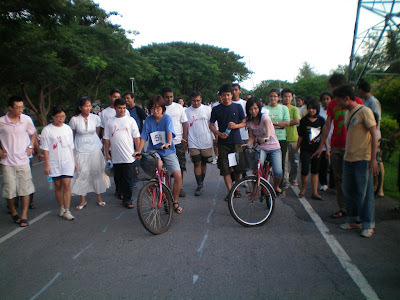 There were locals and tourists alike in the bunch and it was a fine kick-off to the Slow Bicycle Movement. 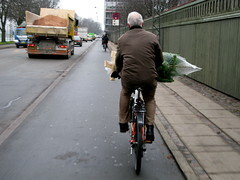 Slow bicycling is a lifestyle in Copenhagen, where 500,000 people cycle each day to work or school. Interestingly, the average speed of this mass of two-wheeled humanity is 15.3 km/h. That's not decided by consensus or by implementation of speed limits. That is simply the organic speed that half a million people settle upon when given the chance. For more on Copenhagen bicycle culture visit Copenhagenize.com and more a look at the fashionable combination of streetstyle and bicycles visit Copenhagen Cycle Chic. For Slow Bicycle Merchandise there is always the online shop and everyone is welcome in the Facebook group, which is now rounding 1000 relaxed members. 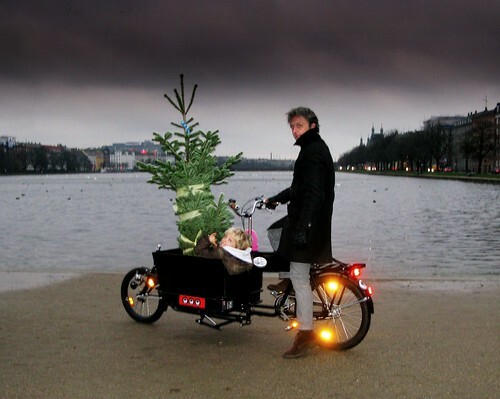 With the inherent stress of the yule season, it's nice to know you can go slow when fetching the family yule tree. 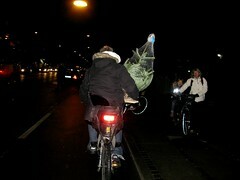 Here's yours truly heading home with the kids and the tree on the Long John. 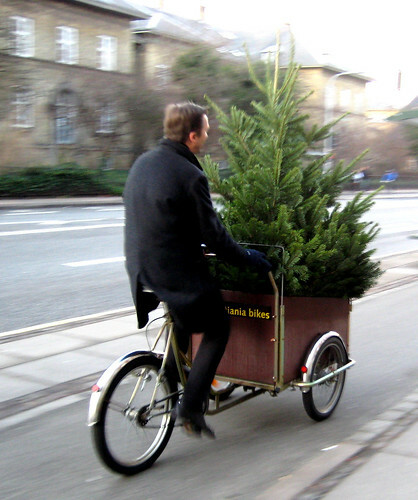 Using a trailer is helpful, too, if the tree is rather tall. Size doesn't matter, but Slow is important. 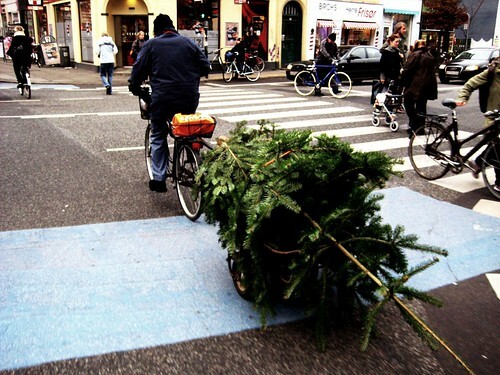 Classic Copenhagen transport. His wife and two kids were riding behind him on the bike lane. A happy new year to everyone in the Slow Bicycle Movement. The blog is, indeed, slow, but there is loads of action over at the Facebook group. We're quickly approaching 1000 members. I'll get the results of the voting on the slogan and manifesto up and running quicksmart.